First, it is worth looking at the broad range of architectures of control both inside and outside of product design. The use of the term ‘architecture’ is no coincidence, since it is in the planned systems which people inhabit–buildings and environments–that the idea of shaping behaviour is consistently evident. 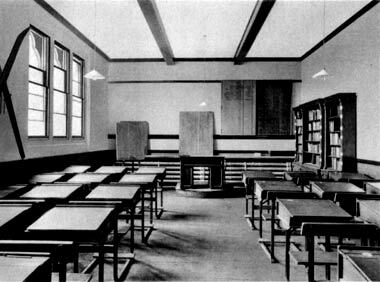 On a small scale: the high windows of traditional British school classrooms might be positioned in the optimum location for lighting (on the ‘left’ to illuminate the work of right-handed pupils–an ‘accessibility’ debate in itself), but the sills are almost always high enough to prevent pupils’ being distracted by events outside. This is a simple architecture of control. A traditional British school classroom often had high window-sills–to prevent the seated pupils from being distracted by more exciting events outside, or indeed staring out of the window. On a grander scale: the designs of urban planners such as Baron Georges-EugÃ¨ne Haussmann [1,2], who remodelled Paris for Louis NapolÃ©on (later NapolÃ©on III) after 1848, may include elements of physical crowd control (replacing many narrow streets–which had made the revolutionaries’ barricades effective–with broad boulevards and avenues ) and, less obviously, psychological crowd control (a mob may feel less powerful if positioned in the middle of a large area, whether that be a park or a thoroughfare)–see also Artefacts & Politics. Despite Jane Jacobs’ wise warnings in The Death and Life of Great American Cities against generalising about the value of “More Open Space” in city planning , as part of an architecture of control it becomes just another tool in the strategic toolbox. Indeed, strategic design may be something of a synonym for the use of architectures of control, not just in ‘political’ city planning, but across the range of human endeavour where some particular user behaviour is desired or required. Extending the review into other aspects of the built environment, features as diverse as ‘traffic calming’ (speed humps, built-out kerbs and chicanes as physical controls, removal of road centre-lines as psychological controls [e.g. 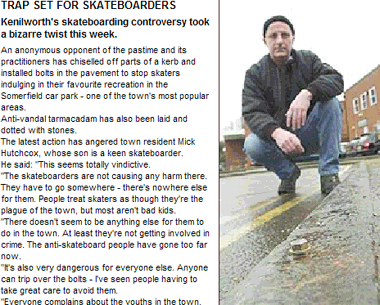 4]), the increasing use of ‘pig ears’ on walls and radiused kerbs as deterrents to skateboarders , and even park benches with central armrests [e.g. 6] to prevent people sleeping on them (or indeed, ‘perches’ at bus-stops and deliberately uncomfortable cafÃ© chairs to discourage lingering), all fall into the category of architectures of control. At this point, the discussion could well move into how what is characterised as ‘defensive architecture’ is in fact ‘disciplinary architecture’; as Ocean Howell of San Francisco State University notes , it is ‘defending’ the general public against ‘undesirable’ behaviour by other members of the public. This is only one step away from Jeremy Bentham’s Panopticon  and Michel Foucault’s argument (in Discipline and Punish ) that by embedding punishment systems in architecture and institutions (e.g. prisons) rather than meting out direct retribution publicly (e.g. public execution or floggings), the likelihood of adverse public reaction to the punishment is greatly reduced. 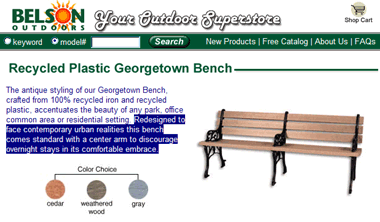 In the park bench example, a public confrontation between police and a person sleeping on the bench (with possible sympathy from bystanders) can be avoided entirely by preventing anyone sleeping on the bench in the first place (using the architecture to control). Not for nothing are speed humps commonly known as ‘sleeping policemen’ in the UK. Nevertheless, whilst fascinating, it is perhaps counterproductive to go too deep into this vein, since within the context of product design, it is clear that many of the objectives of Foucault’s “technologies of punishment” can be achieved, and even surpassed, through architectures of control–surpassed in the sense that people can be prevented from committing the crimes in the first place. A breathalyser interlock on a car ignition can stop the crime occurring, thus there is no need for punishment. The necessary discipline is forced on the user by the product architecture. Bentham’s Panopticon guard need not sit in the centre any more to achieve optimum surveillance. He or she could be replaced by a computer monitoring the behaviour of every inmate–or indeed, preventing infractions in the first place, as far as possible. 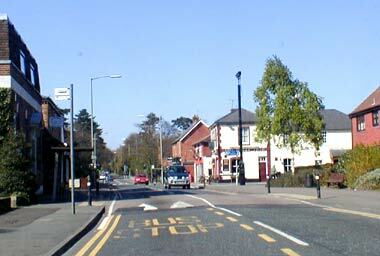 As another product example of disciplinary monitoring, the Traksure black-box monitoring system for ‘young male drivers,’ offered by AXA Insurance in Ireland , records and transmits (via GSM) the car’s speed and location, in return for a discount on the premium for ‘safe’ drivers; a similar system is on offer in the UK, but focused on enforcing a mileage-based insurance policy . We began to worship money, and hence skyscrapers, in the twentieth century, but before then, the tallest buildings in the World were often, if not always, Christian cathedrals. Similarly, in Communist states secular monuments often dominated the skylines (and still do in North Korea). I believe that these are all examples of ‘architectures of control’? Thank you, that’s a good point, and I suppose that kind of psychological ‘control’ through actual architecture is a whole field in itself, and probably a point of much debate among architects and planners (e.g. http://www.designcommunity.com/discussion/19627.html). In the sense that inspiring awe (or outright fear) can be used to control people, it is certainly an ‘architecture of control’, though most of the examples on this site are more about specific design features which prevent or enforce certain behaviours (there are a few psychological examples, such as the cone cup to discourage littering, as in the Judge, but even that relies on a functional product architecture). If anyone has any other observations/examples of psychological (or other) control being designed into environments, please, comment away. Architectures of control could be a good thing in some cases. In my local park, a big problem is motorcycles illegally riding around causing a danger to others, as well as being an anti-social nuisance. When you contact the police or the council, they maintain there is nothing to be done in case a chase results in injury. I tell them what is needed are ‘architectures of control’ i.e. anti-motorcyles gates on the entrances, or a park warden etc. These are attempts by me to stop conflict by tackling the root cause (it is too easy to get in!). I fully agree with your article in Engineering Designer though, that sealed bonnets on cars etc, will reduce the innovation and capability of future engineers who cannot ‘tinker’. Another issue are toys, such as lego or meccano, which are being ignored in favour of the ‘gameboy’. You are crazy if you think that pitiful legos provide more mental stimulation/learning/engineering opportunities than a gameboy. Absolutely insane. The amount of engineering that goes into making and playing a video game is so far beyond your understanding it’s not even funny, if you think a lego can provide any amount of useful learning.